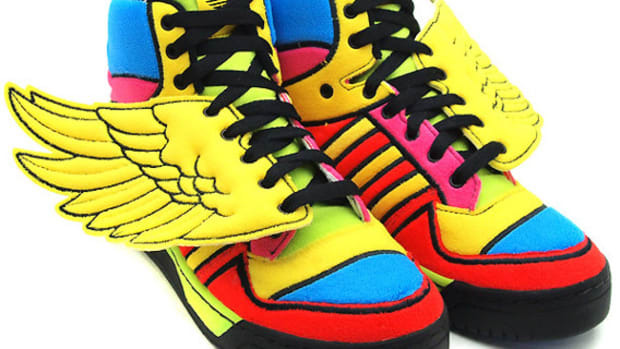 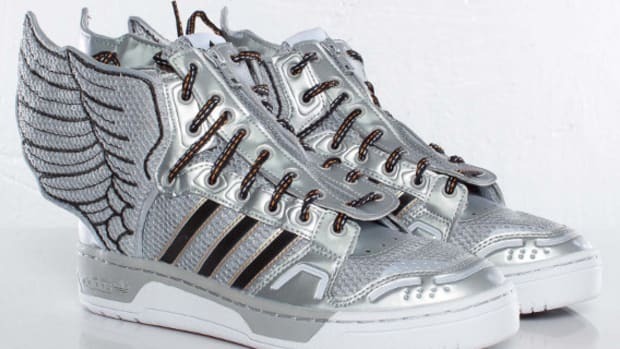 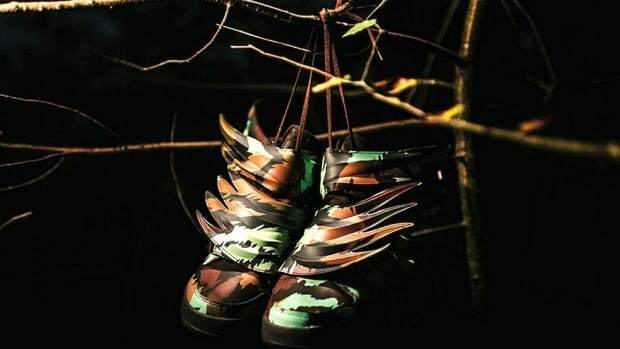 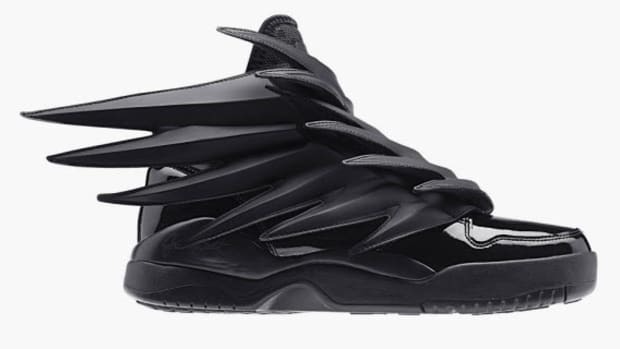 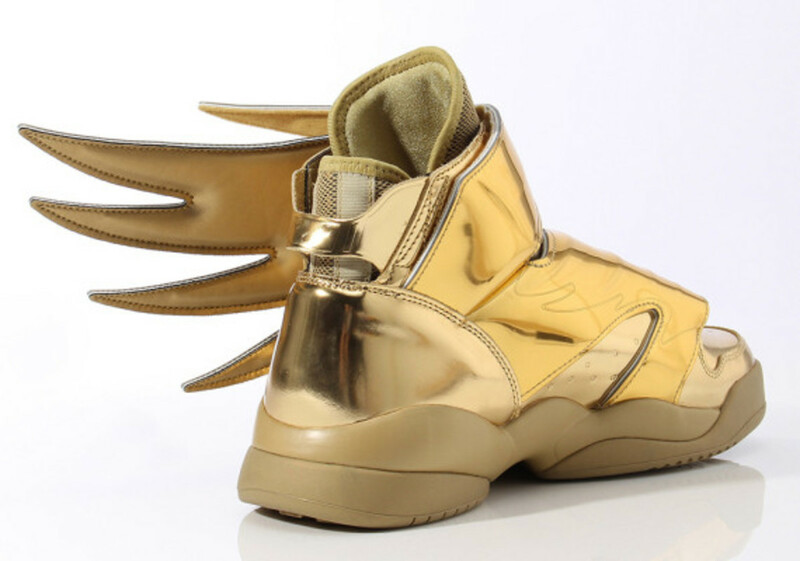 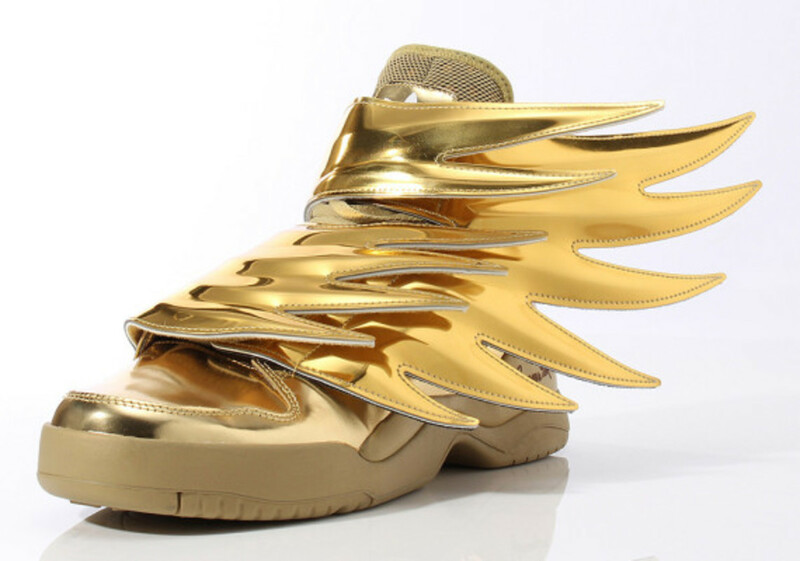 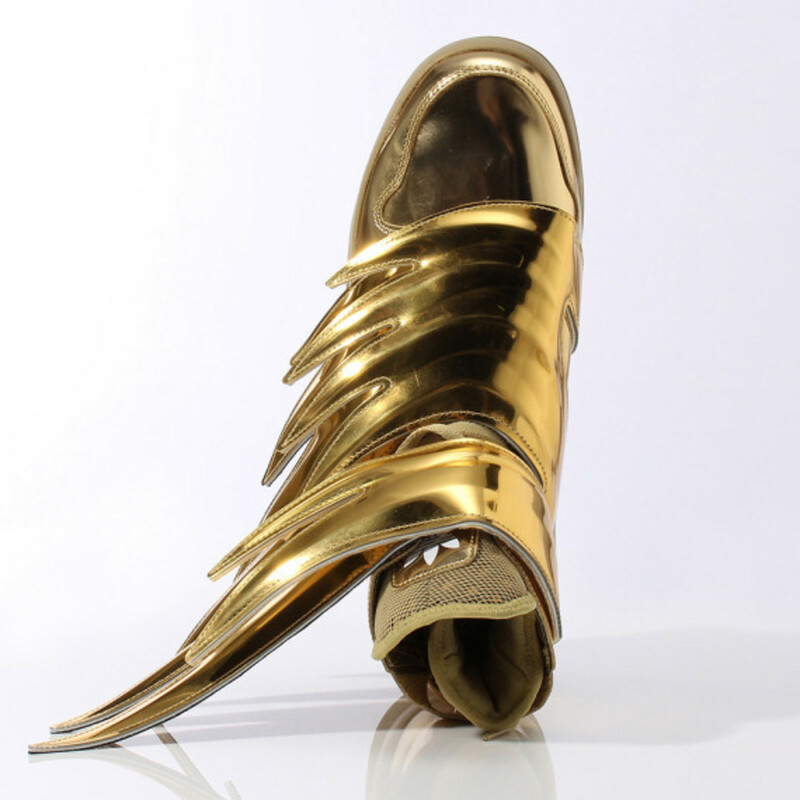 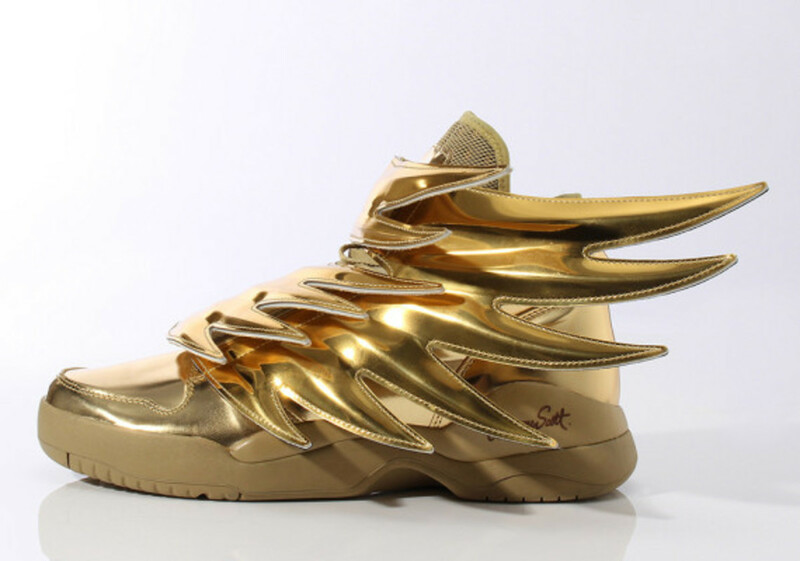 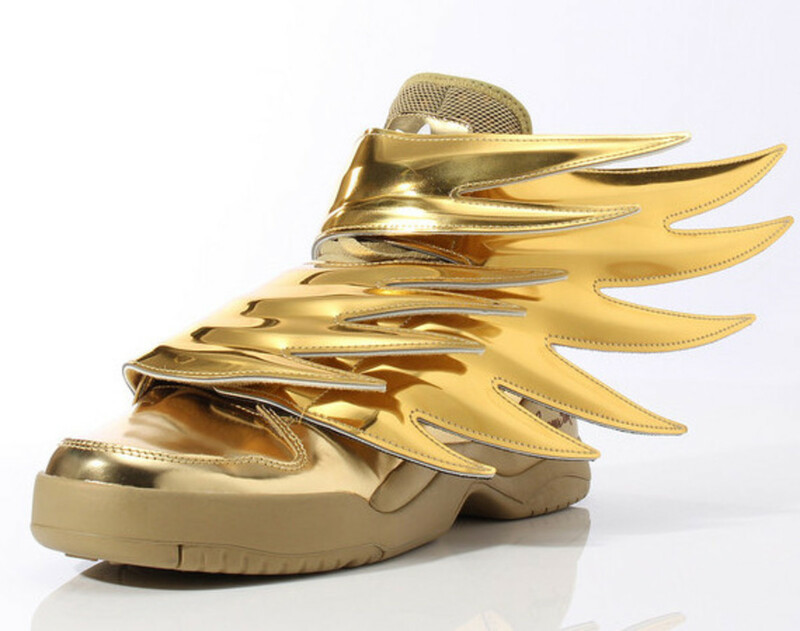 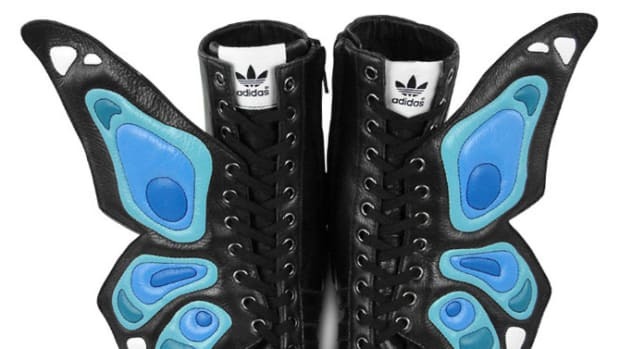 adidas Originals by Jeremy Scott Wings 3.0 "Gold"
The all-black colorway of the adidas Originals by Jeremy Scott Wings 3.0 conferred a sinister edge to a shoe that wasn&apos;t lacking in theatricality. 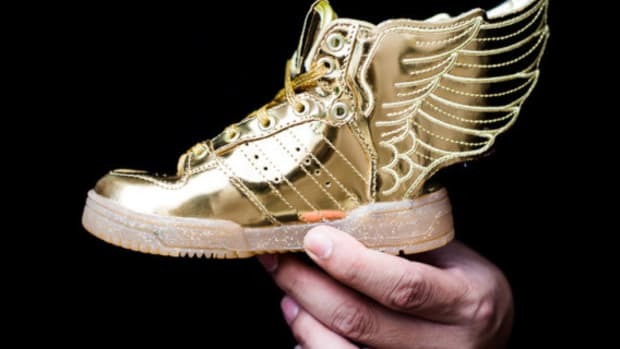 This upcoming colorway, which sees the windswept silhouette dipped in metallic gold, has the opposite effect, predictably upping the flamboyance factor of the eye-catching high-top. 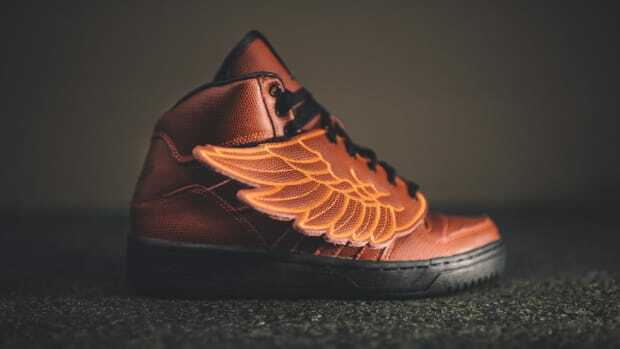 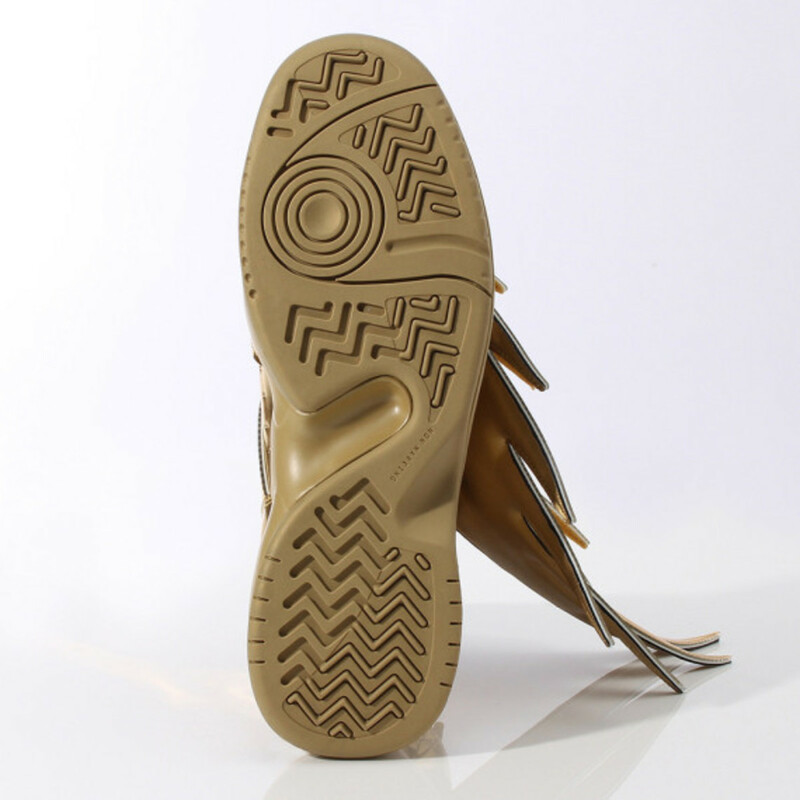 Tan coloring at the tongue, lining and midsole breaks up the gleaming gold motif, but make no mistake, these are shoes that are meant to be noticed. 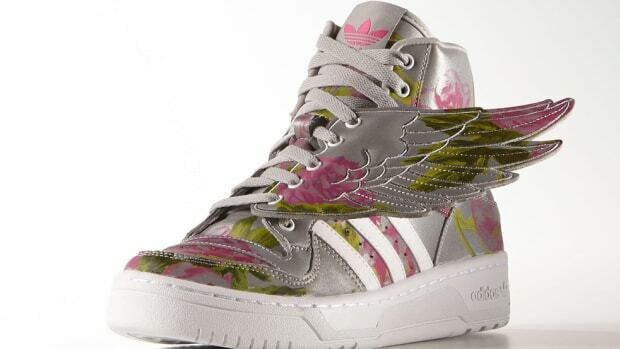 Look for them to launch soon through select adidas Originals retailers.